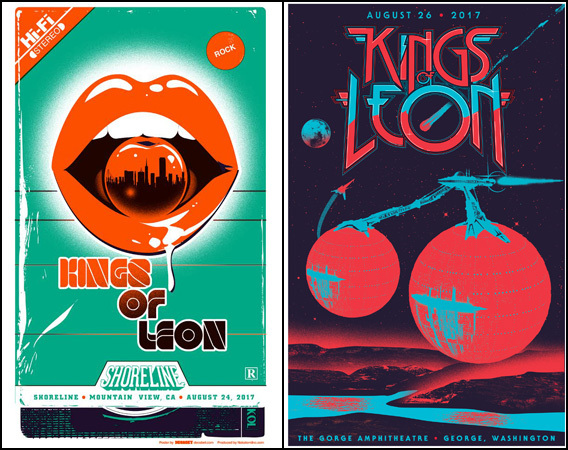 Kings of Leon- VIP posters Now Available! 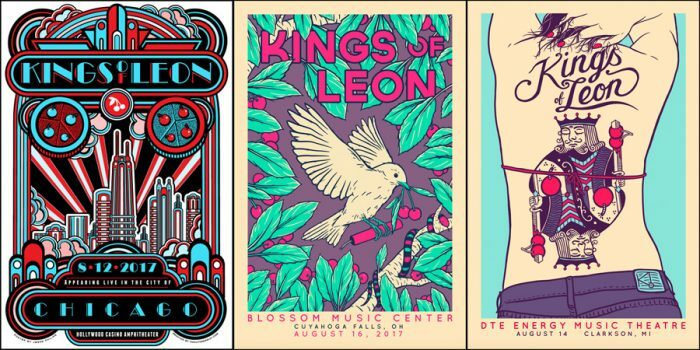 KINGS OF LEON- Final VIP posters are now available! 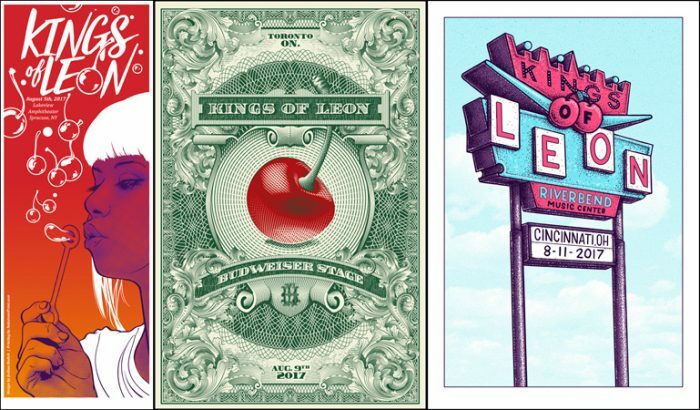 This Summer, Nakatomi art directed and printed the entire Kings of Leon VIP poster series! 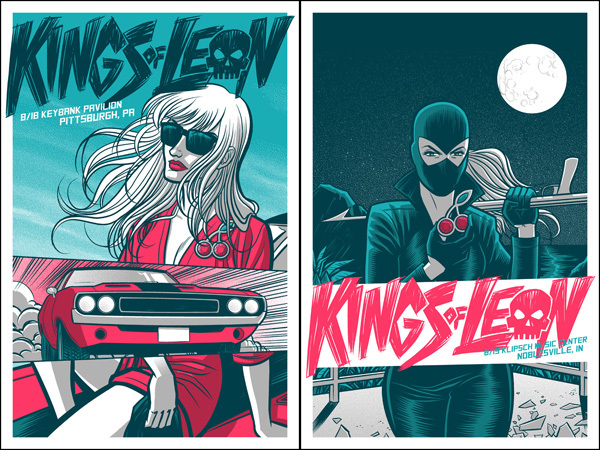 These prints are only available for those who purchase VIP tickets for their shows, BUT- Nakatomi has artist copies of all the prints for both the first and second leg of the tour available for sale HERE NOW! Above is pictured work by Kate Crosgrove, Paul Maybury, and Jesse Philips! Each print is a hand-pulled silkscreen poster, and are available in a limited AP editions of 30 each. Pictured above- Josh Budich, Tracie Ching, and Tyler Skaggs! Above is pictured Jesse Philips (again!) and two prints by Dan Grissom. Above is pictured two new prints by Robert Wilson IV! And finally, two glorious new prints by Jason Malmberg! Pick them up HERE NOW while supplies last! 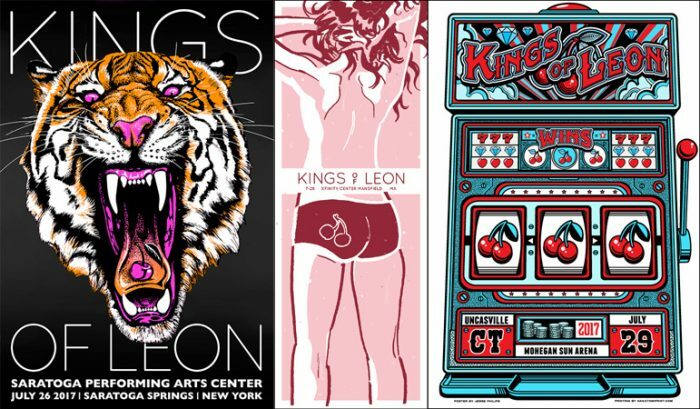 Big thanks to all the artists who participated over this project, and to Kings of Leon for the sweet gig! ← METALLICA x NAKATOMI 2017 Summer tour VIP series is a wrap!